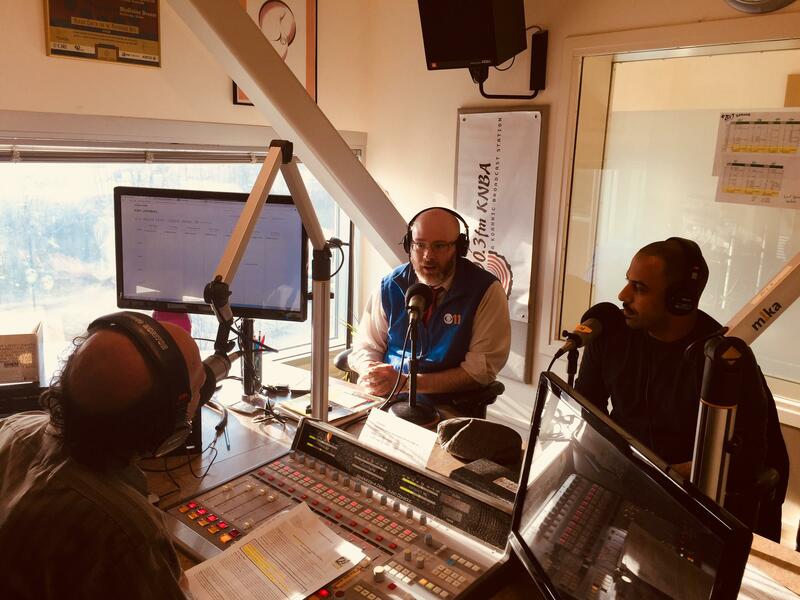 Today on Our Community, Nick McDermott of Alaska Junior Theatre and Oscar Castillo of the Pushcart Players talked with Morning Line host Danny Preston about Peter and the Wolf coming to Anchorage. As per the norm, the Alaska Junior Theatre schedule this week, April 16-20, includes school performances throughout the week, and a final public show at 2pm this Saturday, April 21st at the Discovery Theatre. McDermott says after the public show, a Meet the Performers gathering, sponsored by the Alaska State Troopers, will feature the actors and narrator, as well as cookies and milk. Castillo is an experienced performer with the Pushcart Players, based out of New Jersey. He says he gets to perform not only as Narrator this season, but also as Puppeteer. Nick McDermott and Oscar Castillo visit with Danny Preston on Morning Line. The Alaska Junior Theater school outreach involves thousands of students each year as part of the productions, with more than 40,000 youth attending the shows. Journey to Oz promises to be a fun Halloween activity - with warm and safe trick-or-treating at the Atwood Concert Hall's multi-level lobby area after the show. The show continues in schools November 1st-3rd. It's not everyday a lovely lady and a handsome gentleman play guitar and sing at KNBA - and when it does happen, sometimes it is amazing love longs with a Latin American flair. Today, Danny got to visit with Arwen Lawrence and Jorge Liceaga of the group Cascada de Flores. C. Brian Williams is the founder of Step Afrika, but says really, it started in the early 1900's, "Stepping really is an American story."